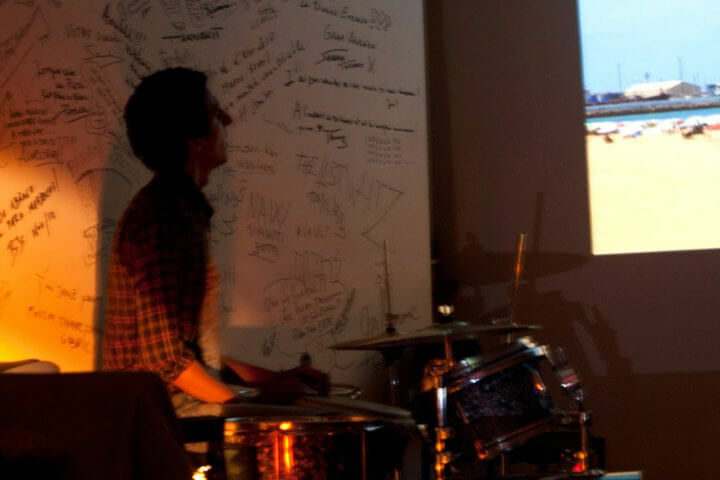 As part of her exhibition Terrains de jeux, at Le Cube – independent art room, and with the group Spielraum, Alice Dufour-Feronce takes us through a photography projection along with a live musical concert and a reading of texts. The latter lead us to meeting with others, discovering cultures and habits that are created in framed territories, between belonging and individuality. On the river without shores that carries millions of stories, every human leaves his own trace. Between belonging and individuality. In the search of encounters, dialogues, but also, of limits. In a Discovery of the frontiers of these playgrounds to overstep. These pictures of travels to Germany, to France and to Morocco narrate the art of living of Men from here and elsewhere.